In Germany, students may apply for BAföG which basically makes them receive money for their studies. In order to apply, you have to fill out lots of forms. They provide PDFs with forms that you can –at least in theory– fill out. Well, filling out with Evince works quite well, but saving doesn’t. It complains, that the document is encrypted. WTF? It’s a form provided by the government. You wouldn’t think that there is anything subject to DRM and that they stop you actually saving a filled document. Producing the document in first place was paid by us citizens so I’d fully expect to be at least allowed save the filled form. I don’t request the sources of that document (well, I like the idea but I probably couldn’t do anything with it anyway) but only that my government helps me filling out all those forms and that it doesn’t unnecessarily restrict me. leider handelt es sich hier nicht um ein Versehen. Die Speicherbarkeit der Formulare unterliegt einem Rechtekonzept des Programm-Herstellers, nach welchem ab einer gewissen Abrufzahl das Abspeichern der Formulare nicht kostenfrei möglich ist. Sorry for the German. The translation is roughly: It’s not an accident. The “program vendor’s right management” is responsible for that. And if many people actually download the PDF file, that Digital Restrictions Management requires that office to not allow the people to save the forms. Erm. Yes. I haven’t verified this but I fully expect the authoring software “Adobe LiveCycle Designer ES 8.2” to have a very weird license that makes us citizens suffer from those stupid restrictions. This, ladies and gentlemen, is why we need Free Software. And we need governments to stop using proprietary software with such retarded licenses. Apparently, there are a few DRM technologies within PDF. One of them are stupid flags inside the document, that tell you whether you are allowed to, say, print or fill forms in the document. And it was heavily discussed what to do about those, because they can be silently ignored. 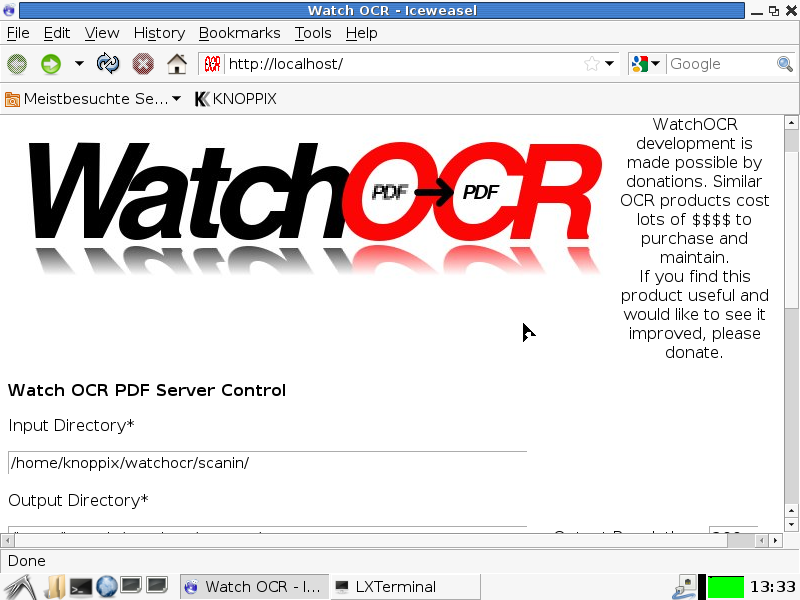 Anyway, I came across Ubuntu bug 477644 which mentions QPDF, a tool to manipulate PDFs while preserving its content. 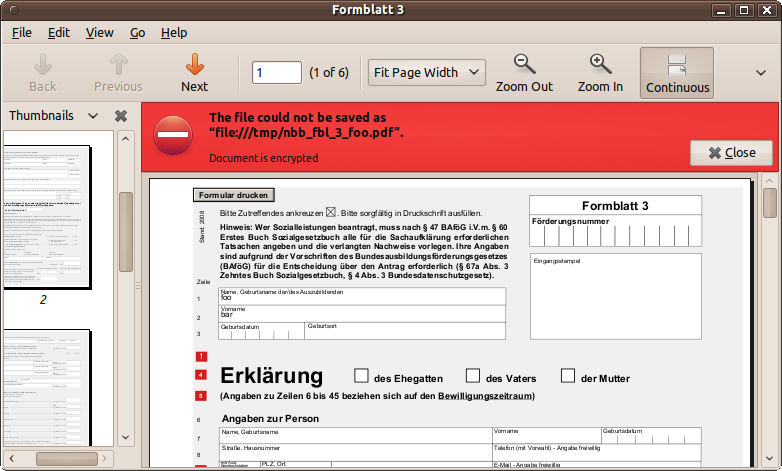 So if you go and download all those PDFs with forms, and do a “qpdf –decrypt input.pdf output.pdf” on them, you can save your filled form.